Imagine having a selection of Mac software apps within easy reach whenever you need it. No stores. No ads. Just the apps. Launched today, Setapp is a new MacOS software subscription service that provides an ‘unstore’ alternative to the Mac App Store. It’s an intriguing new twist on how you buy and use apps. 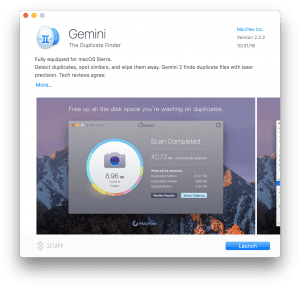 MacPaw, the makers of popular apps such as Gemini and CleanMyMac, came up with the idea to offer unlimited access to lots of high-quality Mac apps for a single, flat monthly fee of $9.99. Already, Setapp has more than 60 apps with more being added frequently. MacPaw would like to eventually offer up to 300 apps, but it is based on a curated model with only the best apps allowed which means users won’t have to sift through a lot of junk to find what they need. The Mac App Store has left a lot of people feeling burned. 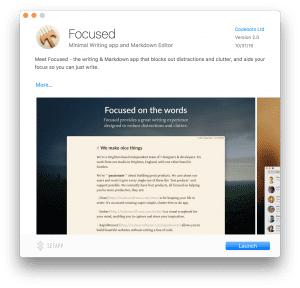 If you’re like most Mac users, you’re often on the lookout for new apps that help you get more done, but it’s a lot like looking for a needle in a haystack. With over 30,000 of them in the MacOS store, using Apple’s notoriously unreliable search and user ratings is frustrating and time-consuming. Once you do find what you’re after, there’s no way to try out the software before you buy it, and no refunds are allowed. The software in Setapp covers a lot of categories from video and photography to graphic design, business, and personal productivity. Some of the apps available include RapidWeaver, Ulysses, iMazing, Shimo, WiFi Explorer, MoneyWiz, Disk Drill, iStat Menus, and XMind. Instead of paying for upgrades or shelling out extra to unlock features (“in-app purchases”), all of the apps are fully functional and you get the latest updates delivered continuously in the background. Using the service is as straightforward as it gets. 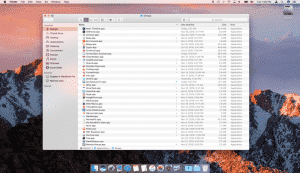 New subscribers download a small app which creates a folder in the Finder on their Mac. Inside the folder is a library of dozens of apps, each of which can be used as often as you like. The apps in Setapp work both online and offline, so you don’t have to be connected to the internet to use the software as long as your subscription is current.